Little and not so little at Eastham. 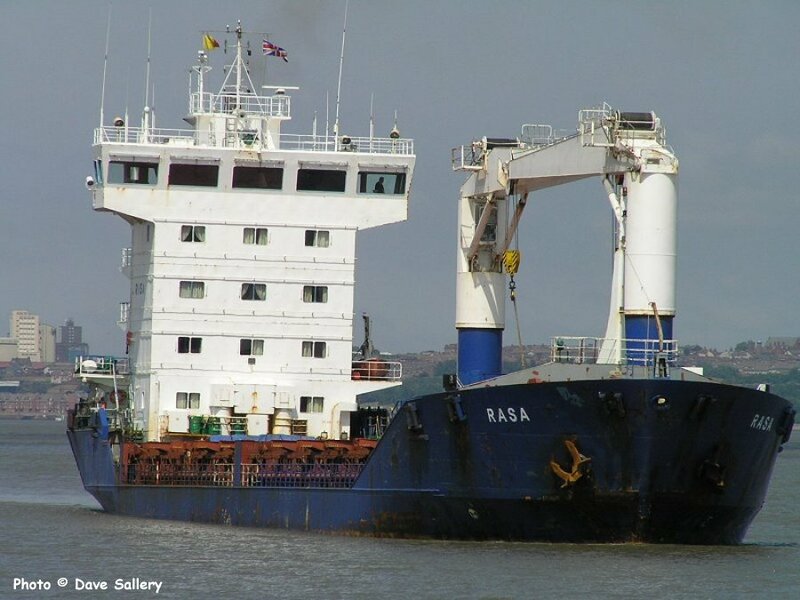 Rasa - a heavy lift ship. Swanland. 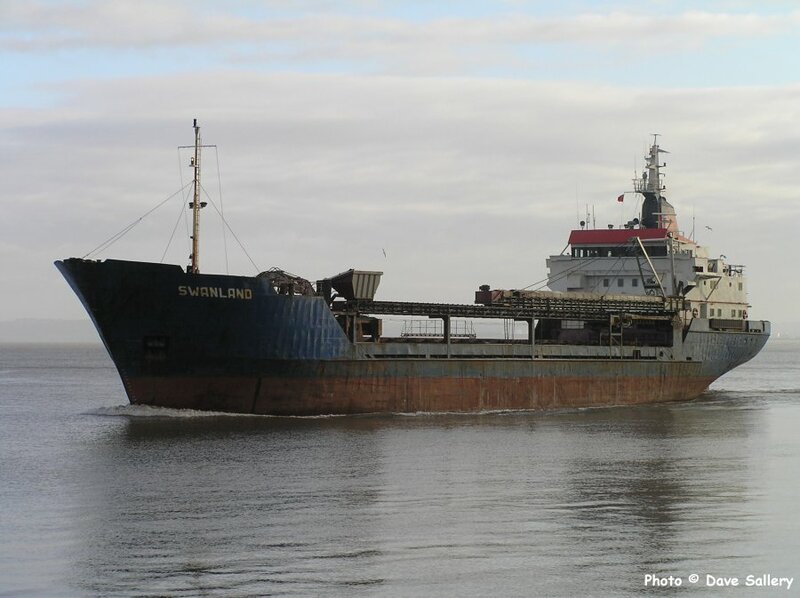 At the time this vessel was being used to transort road salt from Seaforth to Ellesmere Port during a particularly cold spell. Swanland later sank in a gale force 8 storm in the Irish Sea 10 miles off the Lleyn Peninsula, on Sunday 27 November 2011. 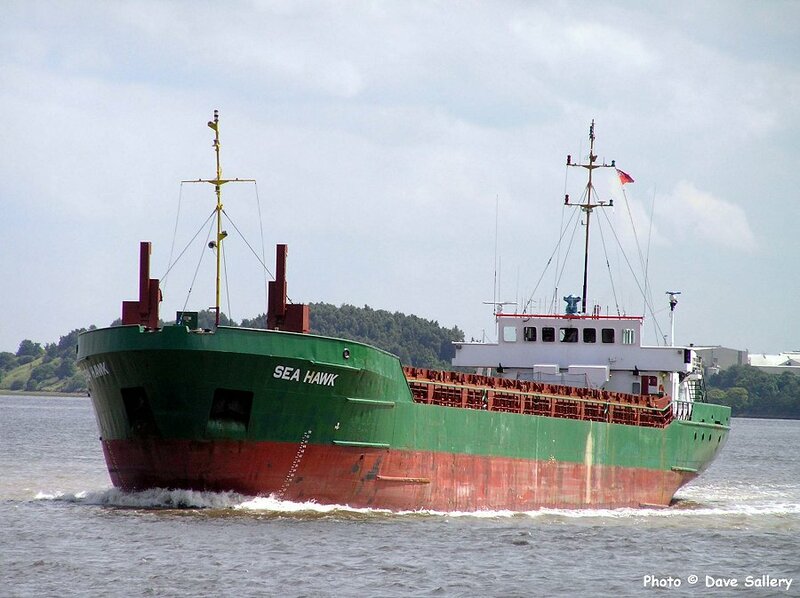 Six crew members were lost in the incident. An old style coaster, Sea Hawk was built in 1989 but looks a lot older. She is still active (Dec 2017) under the name of Christa. 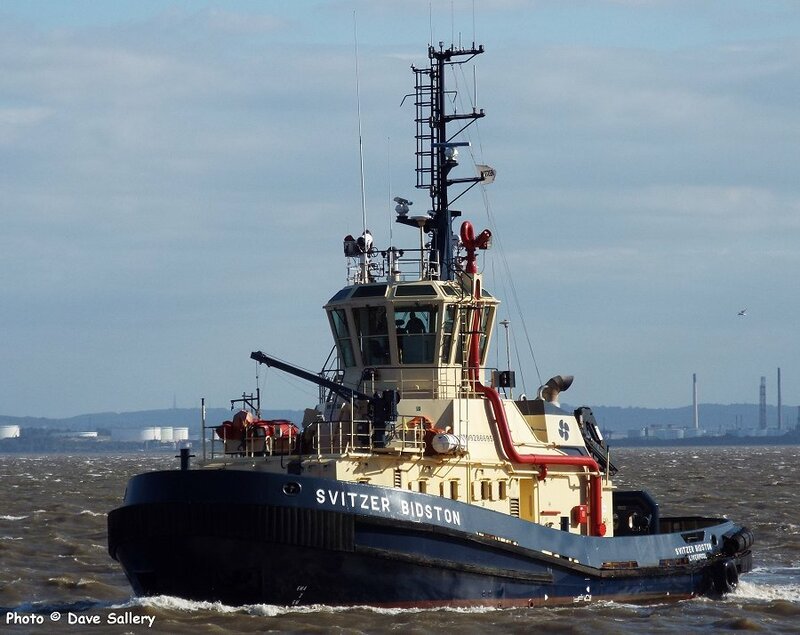 After assisting a tanker to Eastham, Svitzer Bidston returns to her base down river. Bitflower is seen maneouvering in the Queen Elizabeth II oil dock at Eastham. This dock is accessed by a different lock at Eastham from the canal. 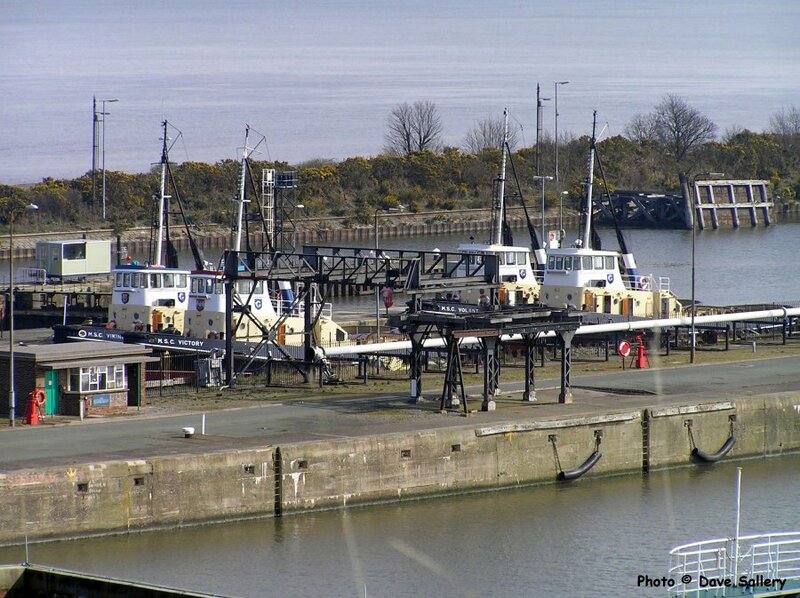 The four tugs used on the canal: Viceroy, Victory, Viking and Volant, are seen together at Eastham. 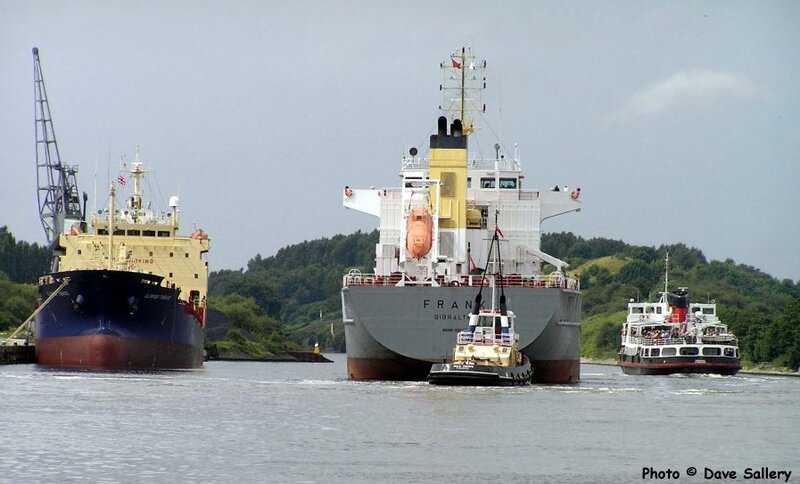 They are captive to the ship canal, likewise Mersey tugs do not enter it. They are operated by Carmet Tugs. 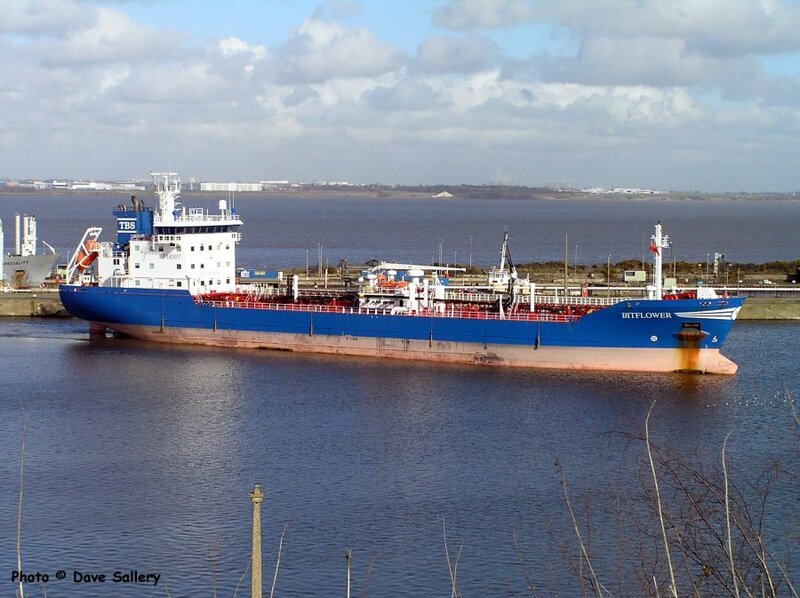 A busy spell at Ellesmere Port. The hill in the background is Mount Manisty. This is formed entirely by soil excavated during the building of the canal. 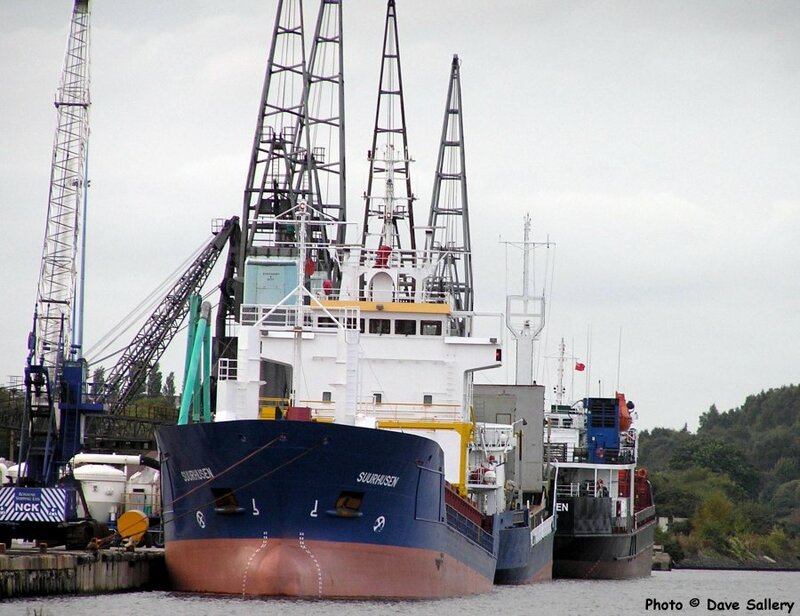 Ellesmere Port docks with several ships being worked on. 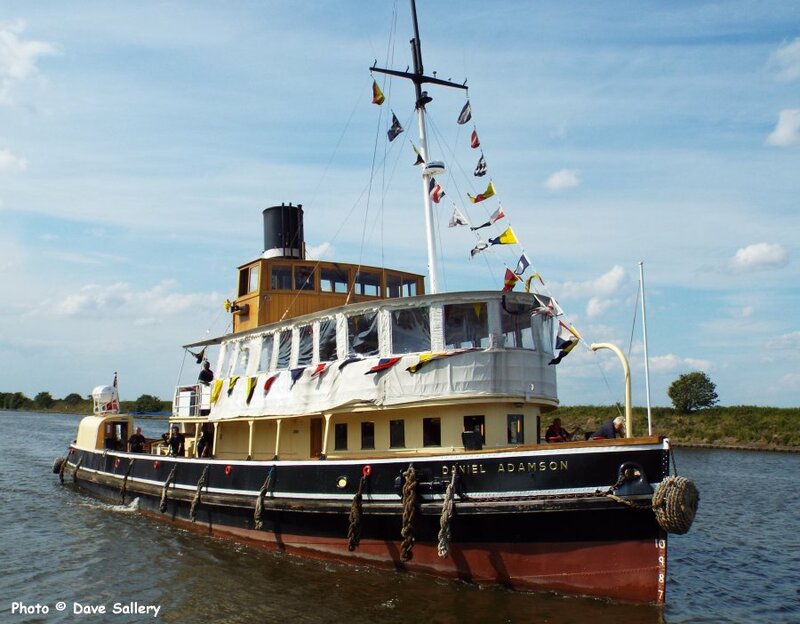 The preserved steam tug Daniel Adamson.